A tinted review in adult Forecasts indicates a book that's of exceptional importance to our readers, but hasn't received a starred or boxed review. 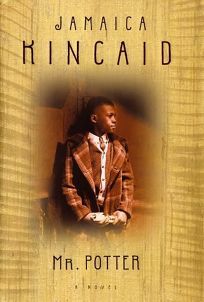 Forecast:After a number of pleasing but peripheral nonfiction projects ( My Garden (Book): and Talk Stories), Kincaid returns to fiction. With My Brother (a memoir) and Autobiography of My Mother (a novel), Mr. Potter forms a kind of loose, autobiographical family series and should win the same acclaim and interest as its predecessors.